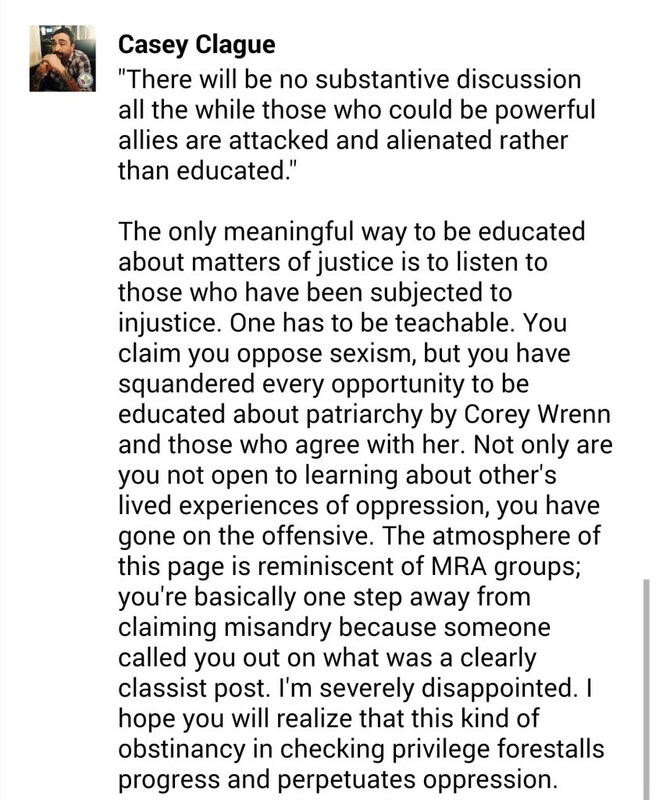 In this essay I will be addressing some common tools of dismissal utilized by those who adhere to sexism or otherwise seek to block feminism in Nonhuman Animal rights spaces (though, this essay has potential for general application to feminism in any space). Those who are targeted as an accomplice to sexist norms often retaliate by insisting that vegan feminists call out sexism in the Nonhuman Animal rights movement to “get attention” or achieve some sort of personal gain or interest. In short, people like us do a disservice to “real” feminists; we give “real” feminism a bad name. So, what is “real” feminism from this point of view? “Real” feminism means working to advance opportunities for women without challenging the privilege of those who stand to gain from a system of inequality. People of this persuasion are all for feminism . . . as long as it doesn’t question their own actions, their own privilege, and their own unearned opportunities and advantages. Unfortunately, feminism that sticks to the rules of proper ladylike behavior by politely asking for more without disrupting the system of male rule is not the type of feminism that is likely to create any meaningful advancements for women. It maintains women’s status as inferior and subservient. 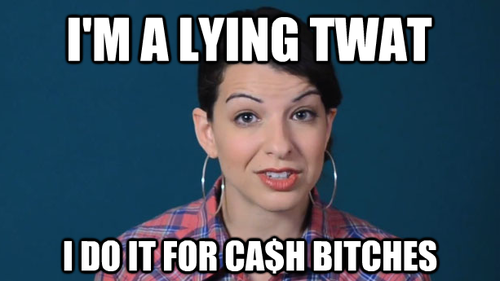 Feminist icon Anita Sarkeesian of Feminist Frequency is often accused of using feminism for personal gain, evidenced in the “Gamergate” scandal. She has been targeted by thousands of men (and some women) with misogynistic messages and death threats, including one promising to conduct the world’s largest school shooting at one of her scheduled talks. The abolitionist faction of Nonhuman Animal rights is perhaps one of the most sexist in the movement.1 Maybe not as bad as PETA’s outright sexist tactics which aggravate a culture of violence against women, but just as insidious because this faction cleverly masks itself behind post-sexist ideologies and the veneer of intersectionality. Prominent abolitionists often accuse Vegan Feminist Network contributors of using feminist critique to dishonestly shut down their approaches. These are approaches we identify as fundamentally uncritical and privileged, approaches that are doing real hurt to real people. Simply slapping a label of intersectionality on outreach does not guarantee adequate comprehension or successful implementation. In too many cases, it appears that the label is used to protect privilege and deflect critical reflection on effective, non-violent activism. A strong indication that someone is actively engaging in sexism is the nasty employment of gendered, derailing tropes that frame feminists as gossiping troublemakers seeking attention/personal gain/cheap shots. This is a sexist response that works to protect a violent social system because it obscures the validity of the feminist argument by ostracizing or attacking the character of the messenger in a gendered manner. For centuries, women have been stereotyped as greedy, untrustworthy gossipers, so it is all too easy for these labels to be applied to feminists. The unfortunate reality is that most people will believe the labels because society both hates and distrusts women: using sexist tropes to deflect feminist critique is very effective. Again, this has relevance beyond the Nonhuman Animal rights movement. It is a standard, sexist deflection of feminist thought. The same response is used to dismiss Anita Sarkeesian of Feminist Frequency (celebrity feminist in the gaming world) and Rebecca Watson of Skepchick (iconic feminist of atheist spaces). If a woman is speaking, the default is to dismiss her, not believe her, or presume her ignorant or up to no good. This is one reason why the contributors to this website rely on screen captures: women will always be accused of lying and deceit in a misogynist world, so we put the perpetrator’s own words on display. We let them speak for themselves. Feminist Rebecca Watson began criticizing sexism in the atheist movement and soon became the target of serious harassment, with many (including the famous Richard Dawkins) accusing her of profiteering and manufacturing sexism where it does not exist. The man pictured is PJ Myers, an outspoken male ally. Suggesting that feminists are just a bunch of troublemakers is in of itself evidence of serious sexism. Make no mistake, the Nonhuman Animal rights movement is deeply sexist, and at times, very misogynistic (for those unfamiliar with these trends, please take the time to browse our previous essays and recommended readings). The idea that any feminist would challenge misogyny for fun or personal gain is nothing short of ridiculous and offensive–no woman enjoys retaliation from privileged persons upset by feminist critique. This is one reason why so few women (and men) are vocal about the sexism and misogyny that runs rampant in the movement. It is the proverbial elephant in the room. No one wants to speak out about it because it will result in a tirade of punishment. It isn’t fun work. Every single day, contributors to Vegan Feminist Network deal with angry racists, classists, and men and their female supporters who insist we should have been aborted, that we are fascists, that we are despicable or disgusting, that we are “moronic/idiotic/stupid” or otherwise mentally ill,2 that we are divisive, that we are man-haters, etc. This happens Every. Day. Ironically, when we block or ignore these comments and emails, we’re then accused of censorship. It is common for some to pull on sexist expectations that women nurture men’s contributions by listening to them and entitling them platform (it is an expected privilege that men’s/whites’/higher classed persons’ opinions are always needed, relevant, and important and that they should be allowed to take up space, even where they are not welcome). 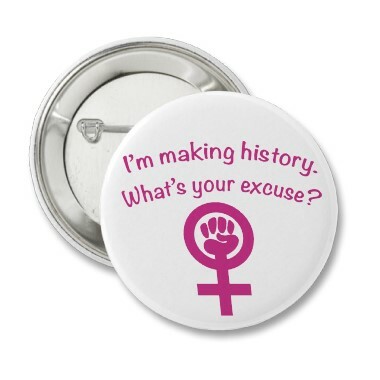 Some pull on sexist expectations that women “teach” them, instead of taking the initiative to read and learn without exploiting women to do the work for them. It is as though our website resources and Facebook activities aren’t enough. Indeed, nothing is ever enough as long as male/white/class privilege is at stake. Casey is correct to point out that sexist character attacks and offensive measures are more common than genuine concern for deconstructing inequality in the Nonhuman Animal rights movement. We here at Vegan Feminist Network find oppression problematic, we find the sexist response to our feminist work problematic, and we want to put an end to it. Doing so is not attention-seeking, it is social justice in action. Some parting words of advice: When an individual or group suggests that a feminist uses feminist critique to start trouble, there is a good chance that they are indeed engaging sexism and have something to hide (or protect). If derailers truly care about “real” feminism, perhaps they might spend less time demonizing feminists and more time learning about how they can be a positive force in social change. 1. Important exceptions include The Abolitionist Vegan Society, Vegan Information Project, and the Food Empowerment Project. This entry was posted in Feminism & Patriarchy, Nonhuman Animal Rights & Speciesism and tagged Animal Rights, Misogyny, Sexism, Victim-blaming by Vegan Feminist Network. Bookmark the permalink.